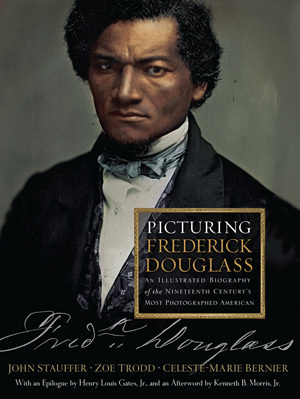 A landmark and collectible volume—beautifully produced in duotone—that canonizes Frederick Douglass through historic photography. Picturing Frederick Douglass is a work that promises to revolutionize our knowledge of race and photography in nineteenth-century America. Teeming with historical detail, it is filled with surprises, chief among them the fact that neither George Custer nor Walt Whitman, and not even Abraham Lincoln, was the most photographed American of that century. In fact, it was Frederick Douglass (1818–1895), the ex-slave turned leading abolitionist, eloquent orator, and seminal writer whose fiery speeches transformed him into one of the most renowned and popular agitators of his age. Now, as a result of the groundbreaking research of John Stauffer, Zoe Trodd, and Celeste-Marie Bernier, Douglass emerges as a leading pioneer in photography, both as a stately subject and as a prescient theorist who believed in the explosive social power of what was then just a nascent art form. Indeed, Frederick Douglass was in love with photography. During the four years of Civil War, he wrote more extensively on the subject than any other American, even while recognizing that his audiences were "riveted" by the war and wanted a speech only on "this mighty struggle." He frequented photographers’ studios regularly and sat for his portrait whenever he could. To Douglass, photography was the great "democratic art" that would finally assert black humanity in place of the slave "thing" and at the same time counter the blackface minstrelsy caricatures that had come to define the public perception of what it meant to be black. As a result, his legacy is inseparable from his portrait gallery, which contains 160 separate photographs. At last, all of these photographs have been collected into a single volume, giving us an incomparable visual biography of a man whose prophetic vision and creative genius knew no bounds. Chronologically arranged and generously captioned, from the first picture taken in around 1841 to the last in 1895, each of the images—many published here for the first time—emphasizes Douglass's evolution as a man, artist, and leader. Also included are other representations of Douglass during his lifetime and after—such as paintings, statues, and satirical cartoons—as well as Douglass’s own writings on visual aesthetics, which have never before been transcribed from his own handwritten drafts. The comprehensive introduction by the authors, along with headnotes for each section, an essay by Henry Louis Gates, Jr., and an afterword by Kenneth B. Morris, Jr.—a direct Douglass descendent—provide the definitive examination of Douglass's intellectual, philosophical, and political relationships to aesthetics. Taken together, this landmark work canonizes Frederick Douglass through a form he appreciated the most: photography.